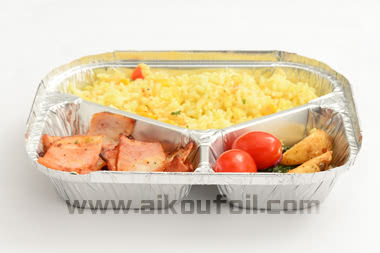 5990 is a hot sale foil food container in China, for packing take away food. 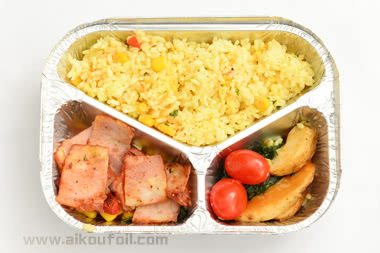 Staple food, meat, and vegetable can be put in stored separately. 550ml capacity just fits a person's appetite. Good insulation property can keep the food warm about 40 minutes. 5990 has the advantages of eco-friendly, healthy and ovenable. 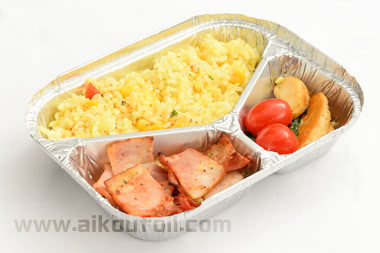 a large quantity foil food take away container every years.